Outdoor weddings are part of a trend that isn’t dying out soon. Whether you’ve already chosen to have your wedding outdoors or thinking about the possibility of one, it is a great option all the way around. It’s uniqueness, though, presents some challenges when it comes to your perfect outfit. Luckily, summer wedding dresses are in style. With that, complementary shoes are also becoming readily available. If you’re looking for the perfect wedding shoes to complement your summer wedding dress, here are 5 options you should consider! Block-heel sandals are a terrific option for a wedding on the beach. This type of shoe will be easy to walk on, while also feeding into the laid-back vibe most beach weddings usually contribute to. If you want your sandals to really complement your beach wedding, consider a minimalistic design with very few accessories. You may also want to consider using some seaside colors, like an aquamarine or a tan sandal. While wedges may not be the first thing that comes to mind when you think wedding shoes, specially designed wedges can be a great fit for your summer wedding! Consider adding many small accessories to make your wedges stand out. The design of the wedge can also contribute to its summer wedding charm. Consider buying wedges with a cork heel to give off a more summery, natural look. If you’re a bride that’s all about comfort, wedding flats may just be your best friend. If you want to spice up your flats, adding accessories such as diamonds may be your course of action. You will also definitely want to match the color of your flats to the venue that you are choosing. If you are looking into a beach wedding, consider tan flats. If a garden wedding is in your plans, consider pink or white flats. Block heels are an up-and-coming trend that may be perfect for your summer wedding. They are sturdy enough to walk on any surface and also stylish enough to look great with any dress. Block heels also look great in tons of different colors and materials. From all white to blue swede, these heels are the perfect wedding shoes for any scenario, rain or shine! Though they may not be as popular now, skimmers have always been a great option for summer weddings because of their many design options. Skimmers can come as flats or with a tiny wedge, and have many design liberties. Thanks to their design, skimmers are a very comfortable shoe to wear to any form of outdoor wedding. You may want to avoid floor length gowns, though, as these skimmers usually come with cute designs that will be blocked from view with longer dresses. You Have the Wedding Shoes – Now What? Now that you have a better idea of what shoes to wear for a summer wedding, the next step is committing to one! 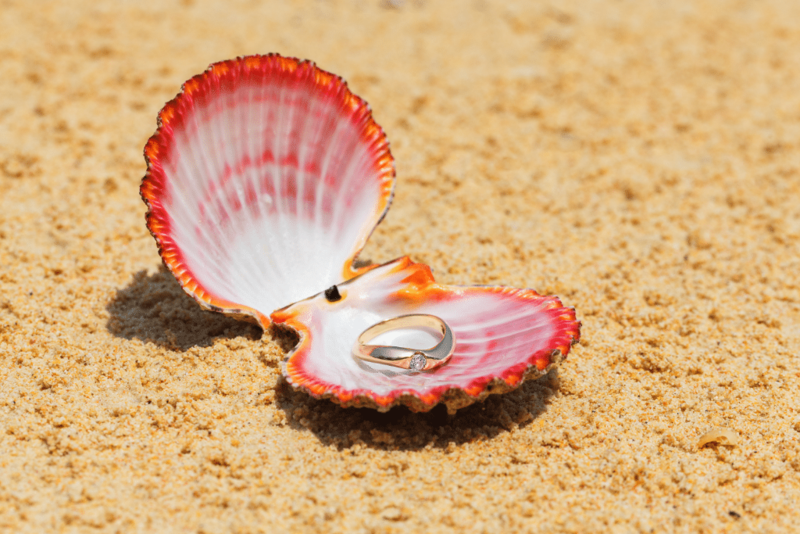 Whether it’s at a beach or on a nice patio, summer weddings are a great, romantic option for any wedding. 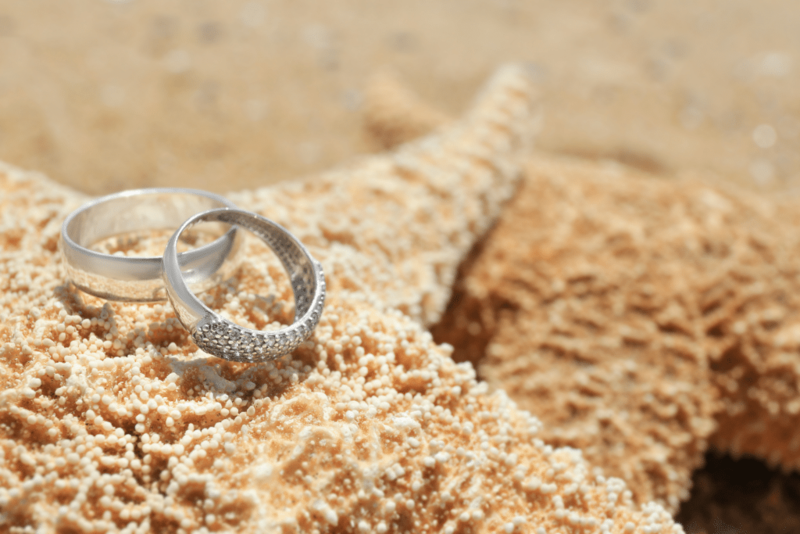 If you’re looking for a location that offers great beach wedding options, look no further than Lover’s Key. Lover’s Key is a famous wedding destination for anyone looking to have their dream wedding by the sea!